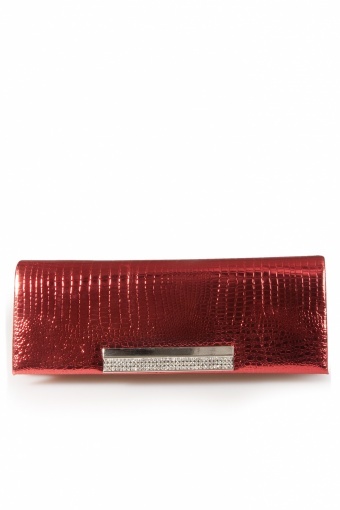 The Bambi Clutch red croc evening bag from COLLECTIF. 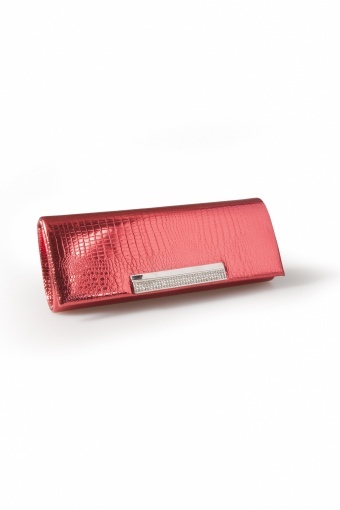 This is a perfect eyecatching clutch / shoulder purse to grab and go for a beautiful night out. Matches beautiful with our pinup & swing dresses. 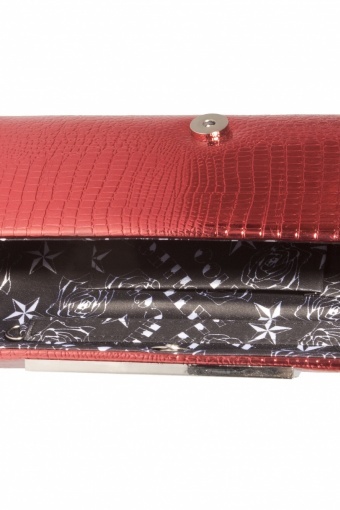 Made of metallic red imitation leather with a croc print detailed with rhinestones. Frame closure with magnetic snap. Interior black satin with white roses and cell phone pocket. 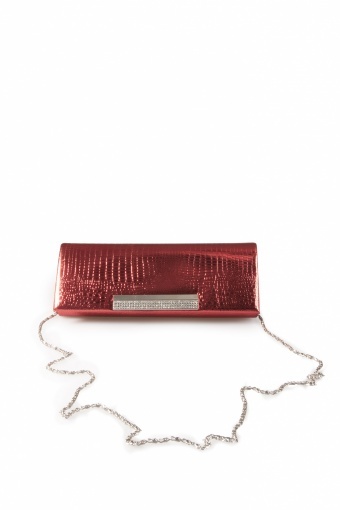 Can also be used as a shoulder purse, inside a silver chain is hidden.